Attendance prices are very moderate, ranging from $20 to $50, with one free event - Facets Members receive a discount on all events. 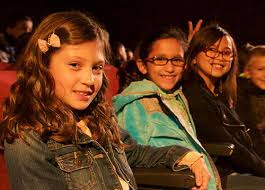 The full Festival workshop schedule, film schedule, ticketing information, field trip bookings, and Festival Family passes are available now at www.facets.org/cicff. The lineup for workshops and symposia for the 34th Festival is packed full of fun events that will activate the imaginations of kids, teens, and adults. The core of Facets and the Festival's missions are to foster a lifelong appreciation for film as art and expression. The workshops and symposia are an extension of our curated film programs and media education during our screenings, and are both educational and entertaining. Damián Perea, filmmaker and producer of the Animayo International Film Festival in the Canary Islands, will lead a bilingual (Spanish and English) stop-motion animation workshop at Instituto Cervantes called "¡Animate with Animayo!" on November 3. Last, but certainly not least, Mauro D'Addio, who directed Festival Film On Wheels, will instruct the "After the Table Read" workshop on November 25. Festival Professional Jury member and award winning filmmaker Anahita Ghazvinizadeh will be leading both "Real Deal Documentary" workshops on November 3 & 5. It is important to note that Friday, November 3 is a Chicago Public Schools in-service day and students will not have class. 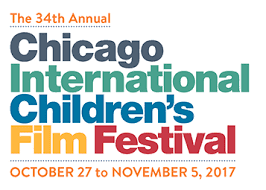 Facets' 34th Chicago International Children's Film Festival runs from October 27 - November 5, 2017, with screenings at 8 Chicagoland locations. Festival workshops and symposia take place at Facets and Instituto Cervantes on October 28 & 29 and November 3 & 5. The full Festival workshop schedule, film schedule, ticketing information, and field trip bookings. Festival Family passes are available now at www.facets.org/cicff. 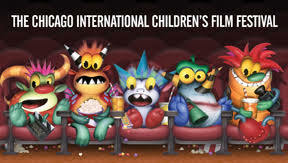 Facets' Chicago International Children's Film Festival presents the best, most innovative film and educational experiences for kids, teens, families, students, and industry professionals. The Festival is operated by Facets, a nonprofit that connects 30k+ people annually to independent ideas through transformative film experiences.